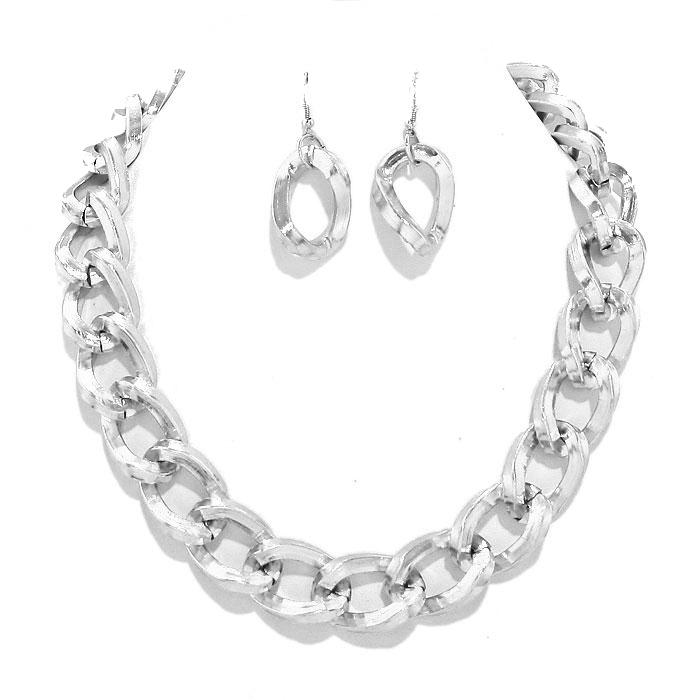 Crafted from silver-tone metal with large oval links, this Jasmine Necklace Set will become a classy, versatile staple. It comes with matching drop earrings with fish hook closures. Add style to any outfit with this stunning necklace set, buy now!